COVR Award for Best Divination Product! 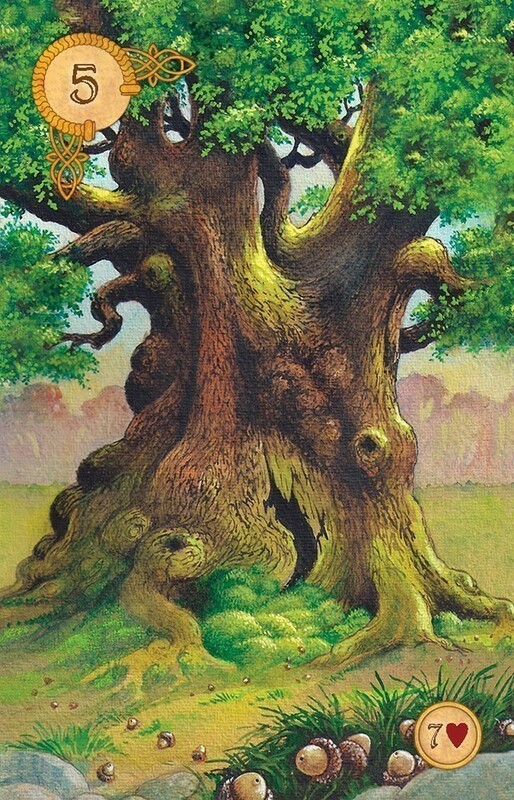 This 45-card deck, with colorful artwork by Will Worthington, provides additional tree, animal and people cards for nuanced readings. 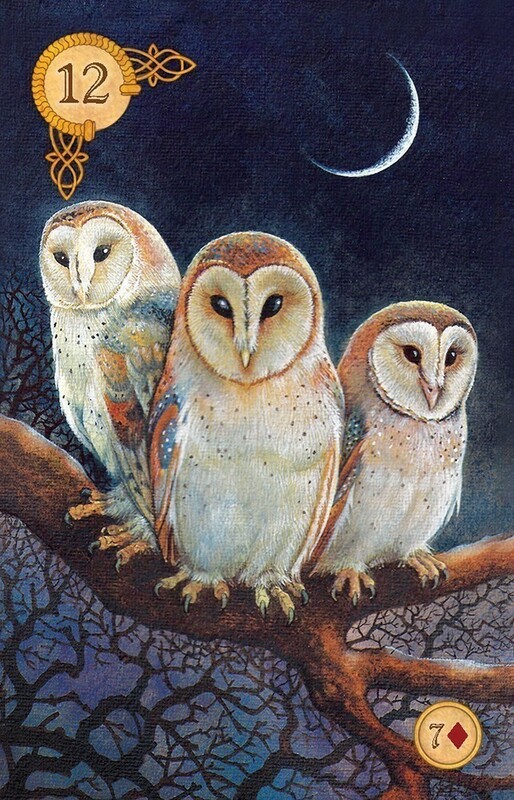 Three different bird cards represent the triple goddess. 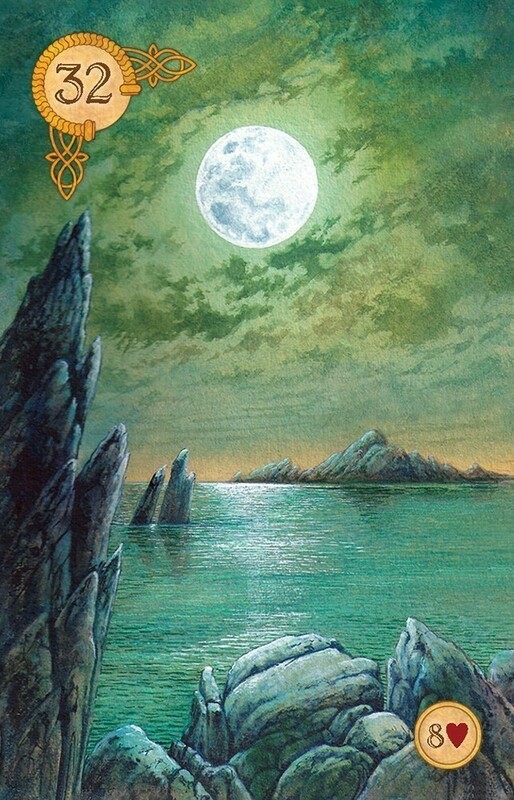 In-depth descriptions for each card include keywords, divinatory meanings, suggestions for spell use, timing, spiritual messages, dark and light aspects, and affirmations. The illustrated guidebook also presents interpretations based on the phases of the moon and the Wheel of the Year. It includes card spreads and instructions for several different methods of reading with the Celtic Lenormand deck. 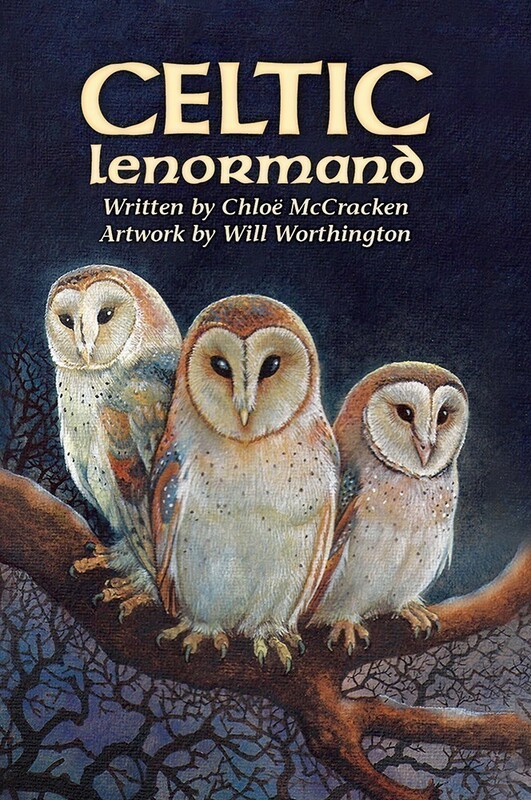 The Celtic Lenormand is an interesting take on Lenormand created by Chloë McCracken and Will Worthington. It expands, stretches and allows for a customized reading with the extra cards that have been added. In your kit you will get 45 cards and a guidebook in a sturdy box. The card size is perfect for Lenormand style decks and the finish on the cards allows for smooth shuffling. The guidebook explains what makes this is a pagan-themed deck. 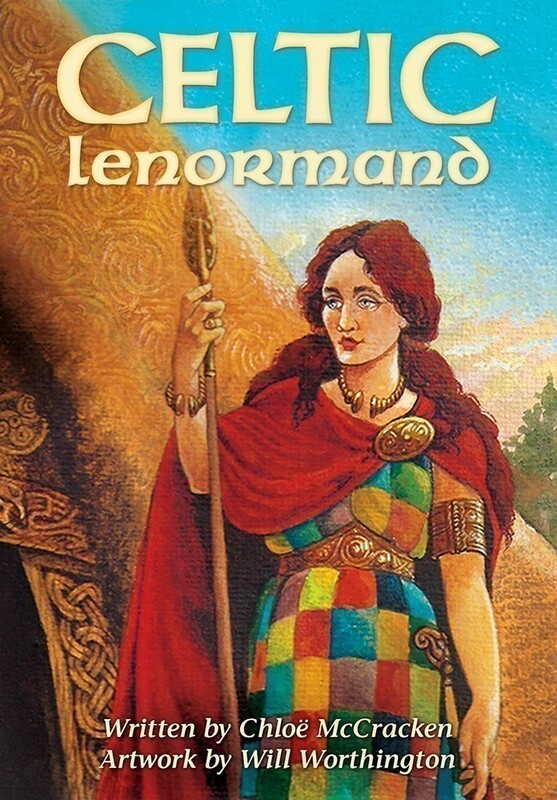 The guidebook for The Celtic Lenormand far exceeds the “little white book” that we usually find with decks. For example each card-even the extra cards have extensive keywords, timing, person, playing card association, description, meanings, spiritual readings, dark and light, spell use, affirmation and deity. There are 13 illustrated layouts in the guidebook and a small section on combining cards. I recommend this deck to anyone who has an interest in Lenormand decks and especially to those who walk the pagan path. 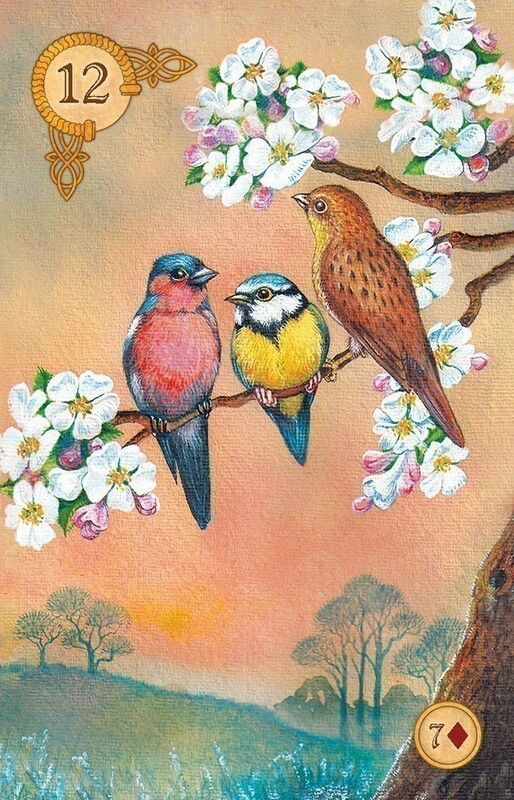 With the added cards you can customize your readings to fit almost any relationship dynamic. If you want a more traditional reading you can remove the extra cards. I am impressed with this deck, the guidebook and the extensive information provided. 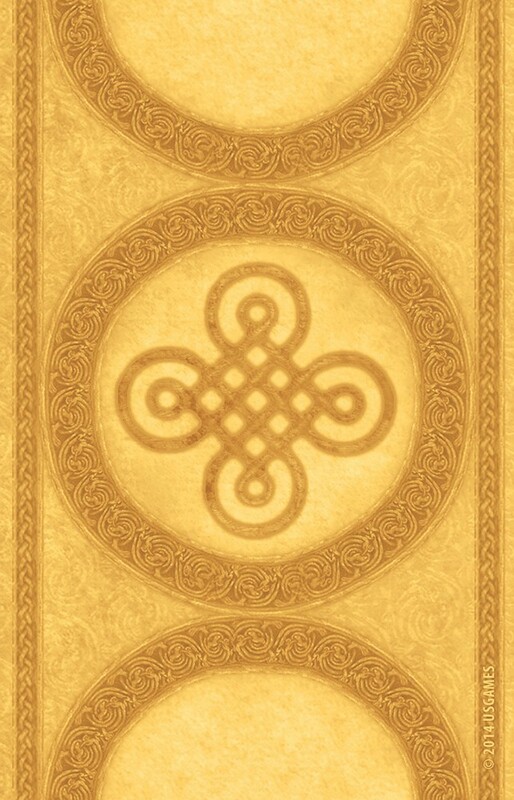 As a follower of Chloë McCracken’s blog Inner Whispers, a fan of Will Worthington’s art, and a lover of all things Celtic, I was pretty sure I was going to like the Celtic Lenormand. As it turns out, I don’t just like it, I love it. The art is exquisite, as expected, and Chloë delivers much more in the accompanying book than I could have imagined. I am looking forward to trying some of the spreads provided in the book and sharing them on my blog,Tarot Notes. 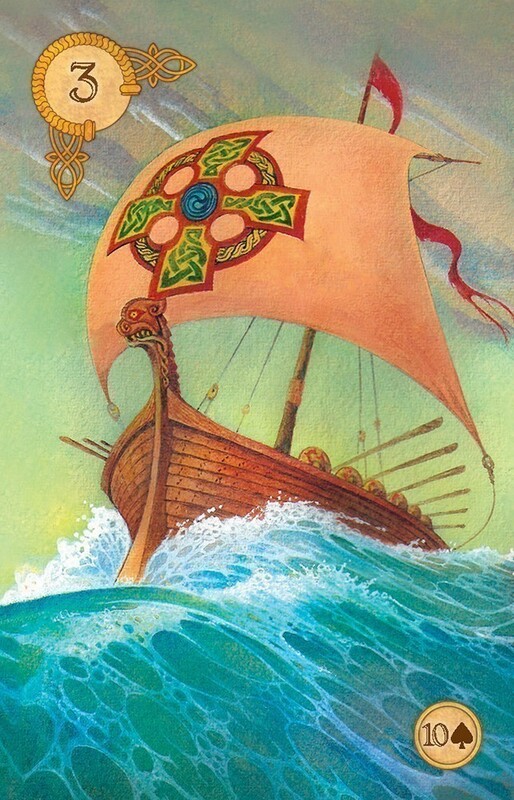 The images are Celtic versions of the traditional Lenormand deck images. In addition, symbolism shown in the images is designed to represent important aspects of the pagan path and perception of the world. The eight sabbats are represented, as are the phases of the moon. Specific cards are included for the god and goddess, as well as suggestions for deities appropriate to the other cards. 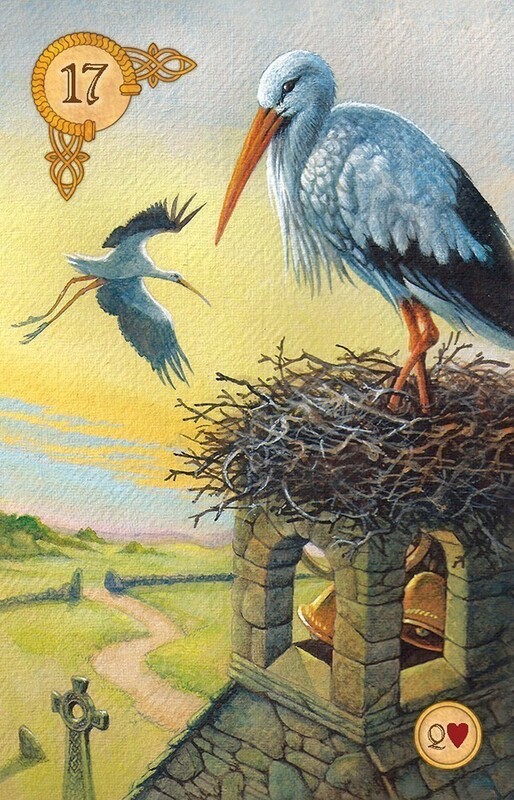 The deck contains two tree cards for the God (the Oak and the Holly), three different Birds cards that reflect the three aspects of the Goddess (Maiden/Mother/Crone), an additional snake card that reflects the more positive aspects of the snake; a cat card (cats are traditional familiars); and four additional “people” cards. The backdrop for the cards in the Celtic Lenormand is the landscape of Brittany, in the north of France. The colors are intense, expressing a variety of tones or moods. The images are sharp, clear, and realistic. This creative and beautifully illustrated deck of 45 cards parlays the popular Lenormand deck into a new and unique divinatory tool. 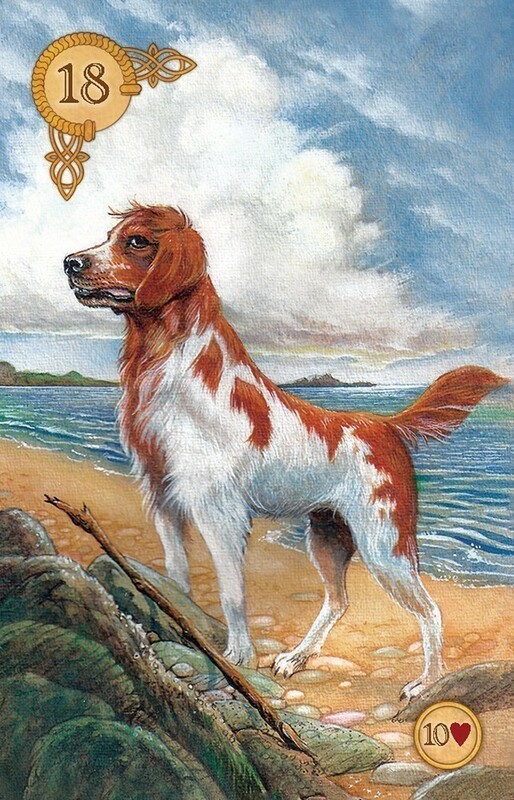 Nine cards have been added to the standard Lenormand lineup and the images have all been related to Celtic tradition. The deck reflects the pantheon of pagan gods and goddesses, the phases of the moon, the Wheel of the Year, and the natural elements. Those who are seasoned Lenormand readers can use the standard 36 cards but find them enhanced by Worthington’s spectacular renderings. More free-spirited readers can add the additional cards when they do a reading, or leave them out as they choose. In addition to the usual keywords and divinatory meanings, the 188-page guidebook contains associations for traditional playing cards and Celtic deities, affirmations, and special spiritual interpretations. If you love oracle decks, don’t miss this one! Really a great deck. I love the artwork that was used to create this deck. Very lovely art with an Old World feel to the deck. It comes in a very sturdy box and easy to open. The booklet that comes with has a lot of information. This deck was very well thought out by its creators. I am very happy to have this deck.